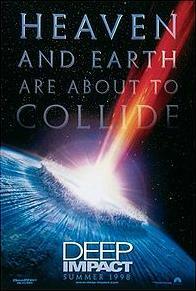 More near-misses lately in the world of asteroids and their relationship to Earth, prompting a visit to a Film.com review of the non-Armageddon from 1998. As it turned out, I was wrong about Armageddon not being just as much a soap opera as Deep Impact; read about the grisly results here. And MSNBC is still around, despite my skepticism. The opening reels of Deep Impact are gripping enough to explain why Steven Spielberg got excited about this end-of-the-world property. A teenage amateur astronomer (Elijah Wood) spots a curious comet in the night sky, and sends a query to a pro (Charles Martin Smith), who takes a peek at the unidentified cosmic smear. (Sign of the times: Smith doesn’t look through a telescope, but at a computer screen.) It’s kind of like the cropduster scene from North by Northwest: the slow-dawning realization that the flying thing isn’t doing what it’s supposed to be doing, and that it’s heading straight for you. Except in this case it isn’t a cropduster, it’s an asteroid that will destroy all life on the planet Earth. A year later, an enterprising MSNBC reporter (Tea Leoni) thinks she’s uncovered a White House scandal. (Will viewers in the future see this film and wonder if MSNBC was one of those made-up companies invented for dramatic purposes?) Actually, she’s stumbled across something only the president (Morgan Freeman) and his top advisors know: the asteroid is coming, and it’s a year away from impact. When the impending disaster goes public, the prez assures the populace that a space shuttle mission can plant some nuclear bombs on the surface of the asteroid before it gets to Earth. The script, credited to Bruce Joel Rubin and Michael Tolkin, then veers into Apollo 13 territory, as we follow the progress of the space mission. This is a very nearly separate movie, with all sorts of forced tensions between Robert Duvall, the old-fashioned NASA pilot, and his younger crew (they include Ron Eldard, Blair Underwood, and Swingers guy Jon Favreau). There’s some suspense as the spaceship intersects the flying rock, and Duvall has his share of nice moments, but the real story is down on Earth. This shuttle material simply provides the hardware in a movie that is actually closer to The Day the Earth Stood Still than Independence Day. On Earth, everybody prepares for the worst-case scenario. Caves have been dug in Missouri, with room for a million people to survive a couple of years, or until the heaviest part of the apocalypse is over. After the really important people are chosen, the Dr. Strangeloves of this world, there will be a lottery for the remaining 800,000 slots. The film focuses on two family units divided by this system. Leoni, chosen to be a survivor, tries to come to terms with her estranged parents (Vanessa Redgrave and Maximilian Schell). And Elijah Wood, chosen because he discovered the asteroid, faces the prospect of survival without his girlfriend. This whole aspect of the film — that a disaster movie might also be what they used to call a “woman’s picture” — is worth exploring, but Deep Impact hedges its bets too much; the shuttle mission and the climactic effects distract from the (generally well-written) human drama. Spielberg, on board only as a producer, hands the directing reins to Mimi Leder, but there are flourishes that seem to be pure Spielberg: the asteroid caught in the reflection of a car window just before impact, for instance. But Leder, who made a fumbled job of The Peacemaker, does far more confidant work here, as the movie summons up its share of shivery moments. She can’t knit the different parts of the screenplay together, and the grand finale doesn’t really come off, despite some awesome effects work. Because Deep Impact wants to rise above the cheesy fun of an Independence Day, we can’t enjoy the giant tidal wave or the sight of the Statue of Liberty in smithereens; Leder and Spielberg don’t want us to cheer the disasters. Instead, the film aims for the somber sci-fi of Contact, and falls similarly short of its target. End-of-the-world movies are a delicate business. Stanley Kramer’s On the Beach was able to work up some dark-night ruefulness, but that was largely because the disaster was our own fault (a nuclear winter). Perhaps it’s best if these kinds of things stick to the pulp of The Omega Man and its ilk. The notion of an asteroid hitting the earth is intrinsically goofy (though not at all impossible, as we now know), and doesn’t lend itself to sober soap opera. By all accounts, the upcoming asteroid movie Armageddon doesn’t make the same mistake. From Film.com, first published in 1998. Saving Private Ryan has “masterpiece” written all over it: it sprawls to nearly three hours in length, it is properly measured and somber, it takes on a mighty subject. This is Steven Spielberg in Schindler mode. Private Ryan cannot merely be another war movie, or indeed just another movie. Thus the film begins with a half-hour sequence, the landings at Normandy on D-Day, that aspires to be the ultimate word in the depiction of battle on film. Probably it is. Let’s be clear about something: despite the fact that he occasionally makes dumb movies such as Hook and The Lost World, Steven Spielberg is a master, and the opening of Saving Private Ryan is masterly. In the landing craft approaching the beach, as G.I.s puke on their own boots out of seasickness and fear, Spielberg takes a breath before the chaos to introduce his central character, Captain Miller (Tom Hanks). The camera finds Miller’s uncontrollably shaking hand, which reaches for a canteen and a drink of water—not for the soldier’s thirst, we suspect, but simply to give his shaking hand something to do. 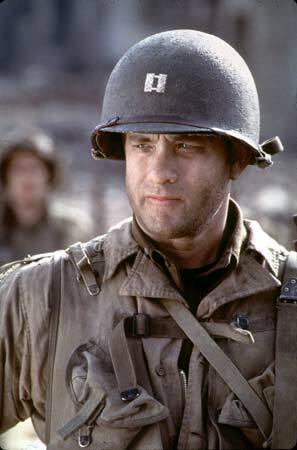 Miller’s face is hidden from view by his helmet, but the canteen leads us to his stubbled visage, with Tom Hanks looking very much like a dogface from a Bill Mauldin WWII cartoon. Throughout the film, Spielberg will lock us into Miller’s perspective for a moment of quiet and clarity, a little oasis of calm that throws the violence into even more dramatic relief. Sometimes being a good director is all about taking a moment. This is one of them, and then the battle is joined, a jiggly, ragged sequence of random brutality and explicit gore. 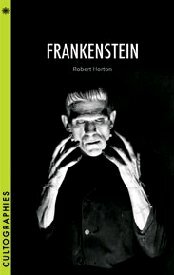 The very texture of the movie itself has the heightened look of a nightmare: the images are washed-out but hyper-real, and motion is slightly jerky, as though every moment stops in time for a micro-second before passing on to the next moment—any one of which could be the moment of death. Limbs are blown off in mid-shot; guts splay out of uniforms and onto the sandy beach; soldiers in mid-sentence are startled by bullet holes blossoming on their foreheads. Blood sticks to the lens of the camera. The director Samuel Fuller, an ex-infantryman who made his own version of D-Day in The Big Red One, used to say that the only way to realistically depict war in a movie would be to have someone firing bullets at the audience from behind the screen. Saving Private Ryan comes as close as anyone ever will to approximating that. The D-Day sequence actually has nothing to do with the story of Saving Private Ryan. Like a lot of the concentration camp sequences in Schindler’s List, it exists outside the narrative, because of Spielberg’s desire to create a document rather than a motion picture. 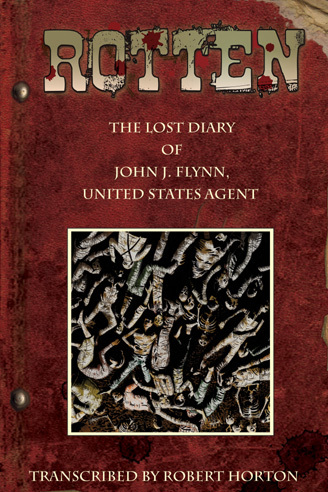 The plot kicks in when Miller and what’s left of his small platoon receive orders to retrieve a private Ryan (Matt Damon) from somewhere on the forward line in France. Ryan’s three brothers have all died in combat in the last week, and General George Marshall (Harve Presnell) wants to pull the private back to the states, to spare Mrs. Ryan the heartbreak of having all four of her boys killed in action. Then Private Ryan becomes a platoon movie, straight from the tradition of Fuller’s The Steel Helmet, Anthony Mann’s Men in War, and Oliver Stone’s Platoon, to name a sterling trio of the countless examples of the form. The men conform to the usual melting-pot collection of types: loyal meat-and-potatoes sergeant (Tom Sizemore), loudmouth Brooklyn-Irish cynic (Edward Burns), combat virgin (Jeremy Davies, from Spanking the Monkey), wisecracking Jew (Adam Goldberg), capable medic (Giovanni Ribisi), big-hearted Italian (Vin Diesel), bible-quoting sharpshooter (Barry Pepper). Hanks gives a truthful, well-judged performance—when when he and the Sarge are considering the roster of men for the mission, Hanks flickers with irritation, not sentimental regret, when the Sarge reminds him that so-and-so is dead and can’t join the group. Hanks doesn’t fit the conception of the role, at least in the way the other guys describe the captain; they say he’s silent, gruff, a battle-hardened veteran who shuts the other men out of his world. That doesn’t sound like Tom Hanks, that sounds like Robert Mitchum. But Spielberg has always favored the ordinary-guy hero, and Hanks eventually makes the part his own. As a platoon movie, Saving Private Ryan is utterly engrossing, with some sharply written conversation and brilliantly executed scenes of danger and violence. In that, it is no better or worse than the trio of films named above. Spielberg is also reaching for a grander scale, and here he has mixed results. As an attempt to make the war movie more realistic and less Hollywood-ized, Private Ryan is often shockingly effective. There are moments in this film where you think, What is about to happen can’t happen in a Hollywood movie, let alone a Steven Spielberg movie—and then, unbelievably, it happens. The cruelty of the slaughter on Omaha Beach feels like an atonement on Spielberg’s part—an atonement for making (as a director) and liking (as a spectator) the sanitized war movies of the past. The story, and presumably its theme, hinge on the cosmic absurdity of sending (and likely sacrificing) eight men in order to save one man, a grunt who has no special talent or value. Robert Rodat’s original screenplay, which has apparently been worked over by Spielberg and other writers, still carries a bit of the absurd, but not much; there’s something not-quite-thought-out about this movie. The possibility that the mission may be a colossal public relations operation is downplayed considerably when General Marshall reads a Civil War letter of consolation from Abraham Lincoln, tears brimming in his eyes. So is the mission absurd or not? To give Spielberg the benefit of the doubt, perhaps the film’s theme is confused because war itself has no theme—at ground level, there is no meaning, just a mission. At that ground level, Saving Private Ryan is the masterpiece it wants to be. When it aims higher, it is merely a magnificent piece of movie-making. Very early Columbo here: the first appearance with Peter Falk in the lead role was Prescription: Murder, broadcast in 1968, then Ransom for a Dead Man was a second pilot, broadcast in March 1971, and Murder by the Book the first episode proper of the series that began in fall of ’71 as one of the rotating features in the NBC Mystery Movie. Which means these were the first impressions of what was going to become my favorite TV show. Ransom for a Dead Man, written by Dean Hargrove from a story by series creators Richard Levinson and William Link, and directed by Richard Irving, is memorable for a variety of reasons. Lee Grant’s murderer is cool and admirably focused; by contrast, her stepdaughter, a wronged party who in other circumstances might be considered sympathetic, is a complete pill. Who wouldn’t gravitate toward the murderer (who is, as in many future episodes, the only intellectual equal for the detective) in such a case? Murder by the Book, scripted by Steven Bochco, is the episode directed by Steven Spielberg, then a 24-year-old up-and-comer at Universal. Its villain is Jack Cassidy, who kills his mystery-novel writing partner (Martin Milner – another victim we don’t mind seeing knocked off). 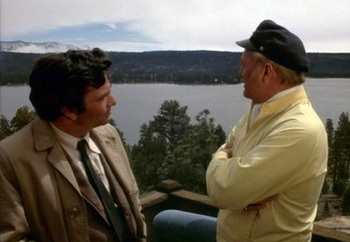 Some of the action takes place in and around Cassidy’s lakeview cabin, and there’s a second murder – in Columbo’s estimation, a sloppy job. Spielberg’s direction is clever and imaginative, clearly the work of someone who wants to get as much juice as he can from the material. And probably someone who wants to get noticed, too. Like so many Columbo episodes, this one has the peculiar look of early-70s Universal TV, although Spielberg and photographer Russell Metty make this episode more shadowy and underlit than most. As a series, Columbo favored wealthy villains and thus opulent living spaces, and a great deal of mod furniture and abstract art passed by under the detective’s nose. But why write about these, other than the fact of having gone through a little Columbo-watching spree in the last couple of days? Because I want to convey some of the real mystery of these episodes, and of Columbo in general – not “mystery” in the sense of whodunit (which was not an issue in Columbo anyway), but in the way, for instance, Peter Falk’s character had no first name, no home life to be seen, no variety of costume. Everything was focused on cat-and-mouse, on a meeting of minds that was strangely simpatico despite the format of a murderer lying to elude capture and a detective trying to catch him/her. Although it featured exterior settings in real Los Angeles locations, Columbo seemed to take place in a completely stylized realm, with fakey interiors and too-clean clothes and a certain airlessness: just backdrops for the chess match. Another thing that added to the mysterioso quality was the music of Billy Goldenberg, who scored these two episodes and few later ones. Allow me to geek. Geek more, that is. I couldn’t count the times I hummed Billy Goldenberg’s themes from these Columbo episodes between the time I was twelve years old and this morning, but if I did, it would be many, many times. (Not talking about the Mystery Movie synthesizer theme, by Henry Mancini, which is fun, but the music within the episodes.) Very noir sounding, with hints of Rachmaninoffian drama, but also colonized by Universal’s taste for modern weirdness in music (see also Night Gallery at this time). Who are you, Billy Goldenberg? Obviously you can look up his many (mostly TV) credits on IMDb, and he has a large profile in the business, but why didn’t he become bigger in movies? I didn’t realize he was musical director on the Elvis Comeback special until reading about it in Peter Guralnick’s Elvis bio. Not a huge amount of him on YouTube, but he appears in a video telling a story about working with Ethel Merman. Whatever. He’s been in my head for a long time. Peter Falk’s performance, so deft and consistent, of course has a lot to do with why the show seems to exist in its own sealed-off zone. Very human (I always loved Columbo fixing an omelet in the victim wife’s kitchen in Murder by the Book) but also something other than human. Falk grasped that Columbo’s roundabout approach was so much more interesting to watch than the direct line. The detective is nearly as big a dissembler as the killer. There’s something sinister and true in that suggestion, and something that makes these TV-movies real mysteries.